The 2 part Fuel Kit is ideal for service providers that want to perform a through the rail fuel service, with the added benefit of a pour in fuel system cleaner. 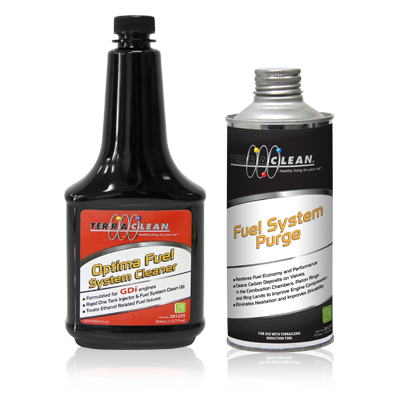 Fuel System Purge is a complete fuel system cleaning product designed to be fed through the fuel rail using a pressurized canister fuel tool. 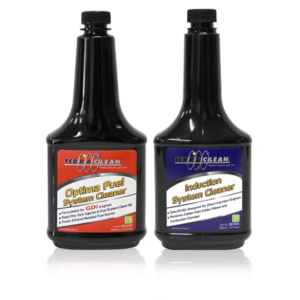 Its proprietary chemistry cleans combustion chamber deposits, revitalizes performance and restores fuel economy. It also inhibits fuel system corrosion and eliminates hesitation. 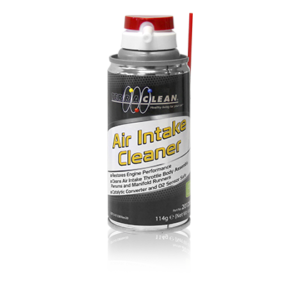 It contains a concentrated detergent package that rapidly cleans the fuel system including injectors and intake valves. 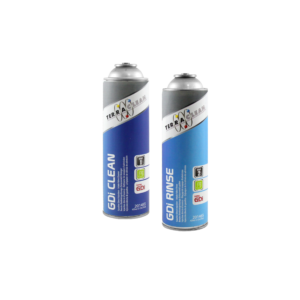 Optima Fuel System Cleaner restores proper spray patterns to fuel injectors by removing gums and varnish build up, generally in one application. It will eliminate water from the fuel, preventing potential rust and corrosion. Optima is added directly to fuel as part of a complete fuel service system service. Categories: Fuel Rail Services, Fuel Service, Induction Services. 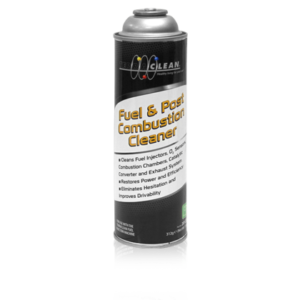 Ideal for service providers that want to perform a through the rail fuel service, with the added benefit of a pour in fuel system cleaner.